Apple revealed to the world its latest iDevices just over a week ago, but to many people’s surprise they decided to not offer people the chance to preorder the iPhone 5S prior to its release on sale Friday 20 September. Initial reports speculated this was because Apple wished to create extra hype for the new iPhone, but it is looking as if Apple cannot produce enough iPhones to meet demand. According to a report, via Boy Genius Reports, unnamed sources have said the iPhone 5S supply is “severely constrained”, stating this is the reason why the 5S is not available on pre-order. Apple needs to make sure they have enough devices to sell in store and for front of house units on launch day, and as such were unable to offer preorders on the 5S. If you were planning on snubbing Apple’s latest flagship offering and had your heart set on buying the colourful iPhone 5C, worry not. There have been no supply problems with the 5C, and it is already available to preorder. In fact, it has been suggested preorders for Apple’s budget 5C device have been lower than expected, following the company’s lack of dialogue on the subject. In previous years the technology giant has been quick to boast its preorder numbers in order to build up hype before a device’s release, but Apple have been strangely quiet regarding figures for the iPhone 5C. This has lead many to speculate preorder numbers are much lower than earlier models, leading Apple’s share price to fall over the weekend. 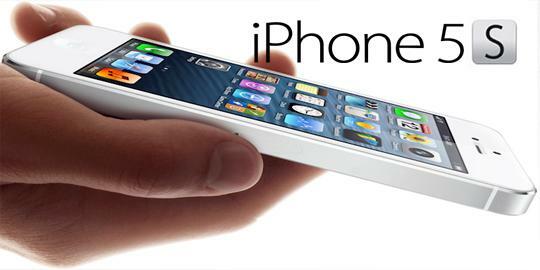 Not sure whether you should upgrade to the iPhone 5S or 5C? Be sure to check out our upgrade guide here.